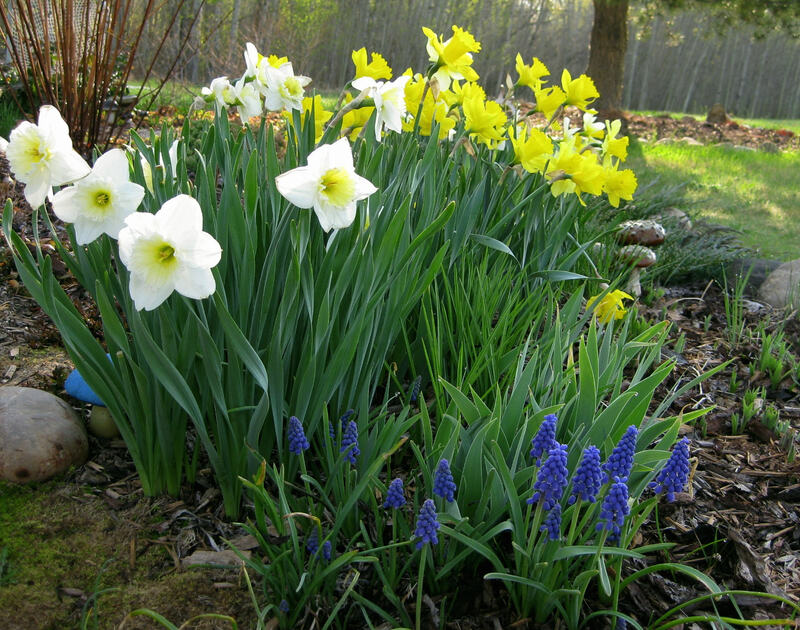 By early spring, depending again on the growing zone, sunny yellow daffodils, or narcissus, have presented their welcome heads. They range in color from a deep yellow to paper white with yellow centers. They are closely followed by other bulbs including anemones whose common name is wind flowers. These are showy with generally red heads and black center but can be purple, light pink, white or blue. Anemones are actually a herb and have a romantic history. They mean ‘forsaken’. Stalks of purple grape hyacinths not only add color to which flowers are in season during the spring, but they add a wonderful fragrance. 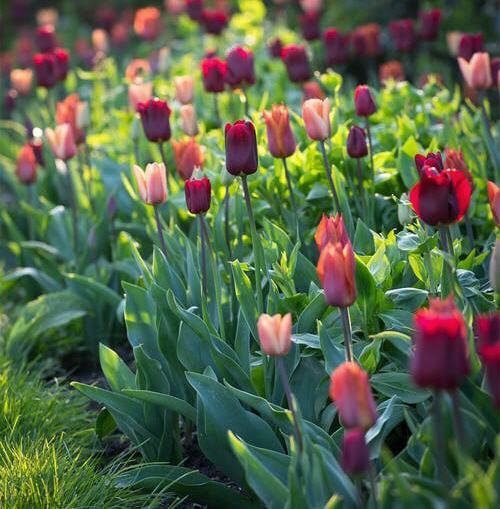 Tulips, a popular and colorful addition to any garden, do well in almost every climate zone. They come in many bright colors and are very hardy. Stalks and blooms can be low to the ground or taller and more upright. By May they should be in full bloom. The iris arrive and the garden comes alive with a rainbow of glory. Iris plants were actually named after ‘Iris’ the Greek Goddess of the Rainbow. Their fragrance and beauty is unrivaled. Among the perennial flowers that are early spring bloomers include dianthus, a frill edged bloom that ranges from pale pink to dark pink. Salvia, a spiky, tall bloomer is part of the mint family of herbs. Sea thrift, sometimes known as sea pink makes an early cutting flower for the spring bouquet and the unbranched bright clumps of Lungwort bring life to the early perennial garden. Which flowers are in season during the spring is, of course, governed by which you plant. Early annuals that will bring quick color are the every popular Impatiens. They grow rapidly and bloom profusely. For delicate color under shrubs or taller plants the shy Viola makes a nice presentation. For nonstop action in your spring and early summer garden geraniums win hands down. They come in varied colors, their large heads inviting your line of vision. They are hardy and require little care except a daily ‘deadheading’ or pulling off dying blooms. 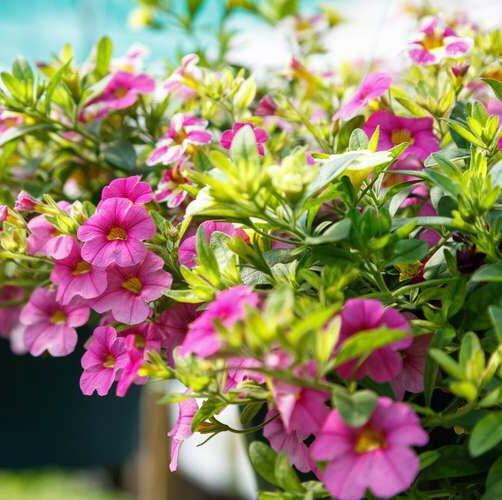 Petunias is an old fashioned favorite that adds special charm to the cool weather garden, although they will bloom throughout the season when provided the right sun exposure. New breeds of Petunias have been introduced over the years including the wave petunia, a vine variety that works well in hanging pots. For cutting flowers remember to plant Bachelor Buttons and traditional snapdragons. Gypsophila, or pure white Baby’s-breath is a must for texture in the garden and accent in flower arrangements.